Check out or Daily Specials. 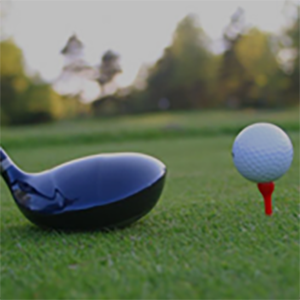 Click to load our valuable Daily Specials and Coupons to save for you and your golfing partners. Located in the beautiful Finger Lakes Region of Central New York, Willowbrook has been family owned and operated for over 75 years. 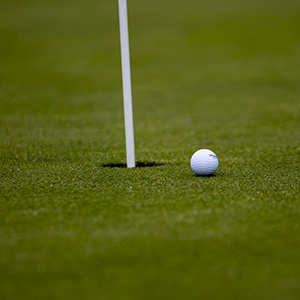 We offer 18 scenic and challenging holes for your golfing pleasure. Our staff is always eager to assist you in any way possible. We hope to see you soon. You must bring a printed copy of this special to the golf course to take advantage of this special. Click the "Get This Special" link to open an print the special. Reciprocal play is restricted to weekdays only. Some courses do allow play on weekend afternoons, please check with the course. Tee times are required. 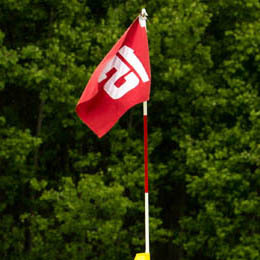 Players are required to call for tee times at least 24 hours in advance. 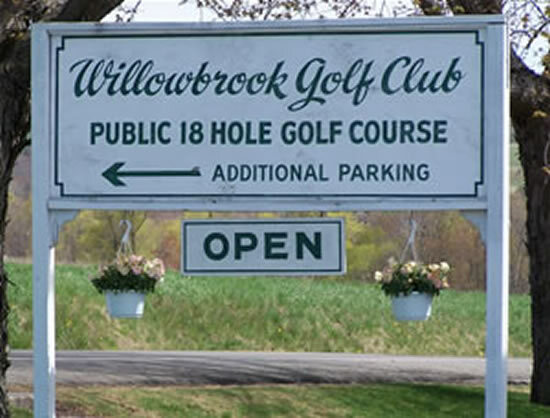 Some courses may require having Willowbrook make the tee time for you. Golf Cart rental is required by all reciprocal players. All players will be required to show a 2015 membership card. Maximum of (4) rounds per year per golf course. Proper golf attire and soft spikes are required. 2021 County Rt.1 - North Rd. 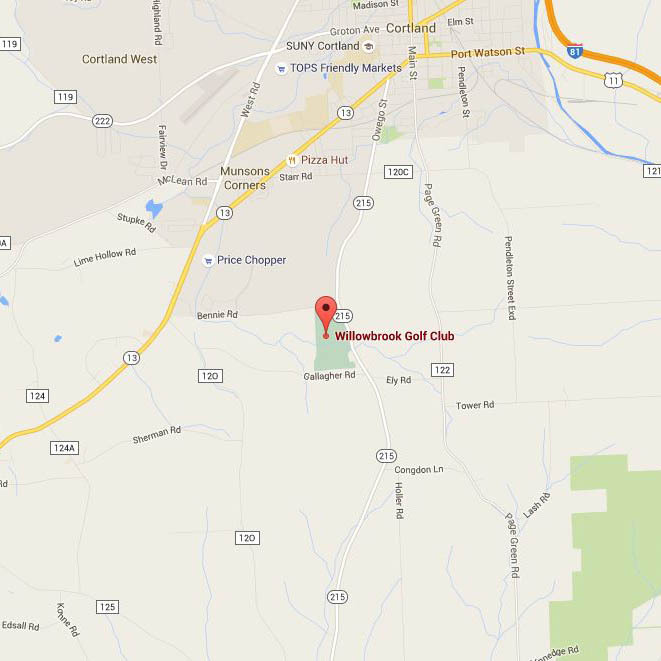 Click the red marker to get directions to or from Willowbrook Golf Club. Select if you need directions "to here" or "from here". Enter the Starting or Ending Address and select "Get Directions" button. You must bring a printed copy of this special to the golf course to take advantage of this special. Click here to open a printable version. Click here to open the Printable Version.